At LFN Advisors, Inc., our main objective is to assist our clients in navigating today’s complex investment marketplace to help accomplish their evolving investment aspirations and goals. The advice and recommendations you’ll receive are custom-tailored to you, factoring in your risk tolerance, goals, desired returns, time frame, and income specifications. 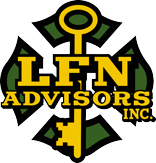 LFN Advisors, Inc. works with various third-party money managers. One of our strategic alliances is with Gradient Investments, LLC (GI). GI is an SEC-registered investment advisor firm offering clients over 20 proprietary portfolios. Portfolios are managed by their Chief Investment Officer Wayne Schmidt, CFA, MBA, and President Michael Binger, CFA.